The Iowa–Iowa State football rivalry is an American college football rivalry between the Iowa Hawkeyes and the Iowa State Cyclones. The Cy-Hawk Trophy is awarded to the winner of the game. 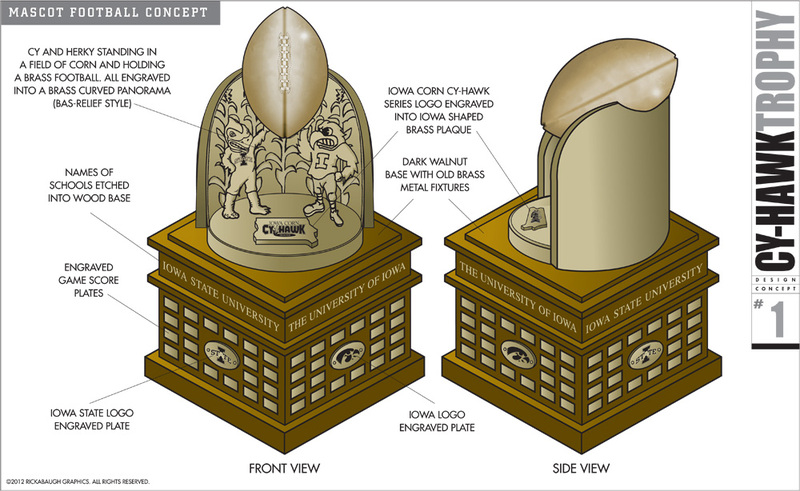 Conceived and created as a traveling trophy by the Greater Des Moines Athletic Club in 1976, the trophy was first presented to the winner by Iowa Governor Robert D. Ray in 1977. That game was the first meeting between the two since 1934.